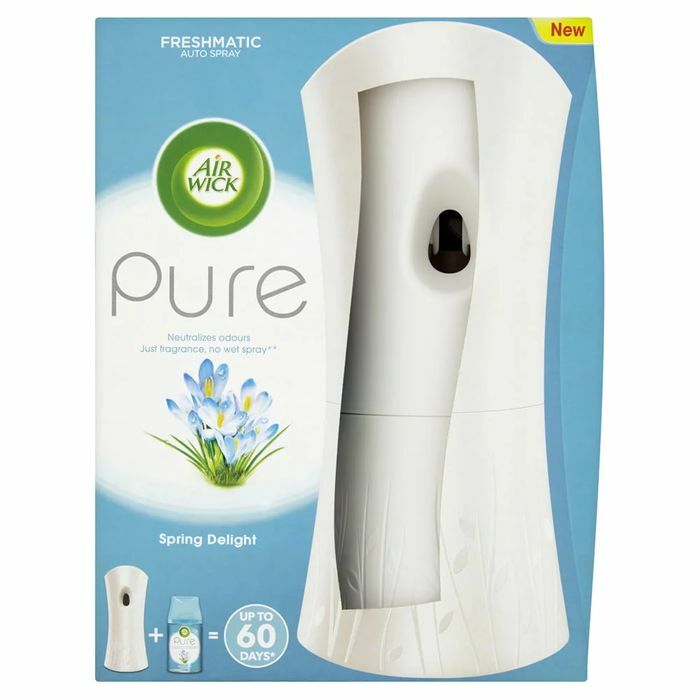 Air Wick Pure Freshmatic Max Complete Pure Spring Delight automatically releases bursts of fragrance to constantly freshen your home and neutralise odours. It contains no water so you can enjoy more fragrance in the air and less on the floor. Refills are available to purchase separately.